The Indian healthcare system is sick - what can we do to heal it? In fact, even the term healthcare system itself is a misnomer. In reality, what we have in India is a medley of doctors who are used to providing episodic care to people when they fall ill. Healthcare is fragmented and disorganised and there are too many specialists, most of whom have tunnel vision. In most instances, a cardiologist has no idea what the patient’s gastroenterologist is doing – and they are so focused on treating the heart or the liver that they sometimes forget that these belong to a human being! The only way to reform the healthcare ecosystem, would be to make it patient-centric. Patients (or their relatives & friends) are intelligent and capable. What’s even more important considering the patient’s health is at stake is that they have the motivation to get good healthcare. If provided with the right tools, they are also willing to invest time and energy to ensure a good outcome. We believe that patients are the largest untapped healthcare resource. They only need to have direct access to the right tools. One of the major influences that is rapidly changing the dynamics between doctor and patient is easy availability of medical information on the internet. The only problem is that it’s not easy to find reliable information, and patients end up getting lost and frustrated. They go to the doctor with reams of internet printouts. No doubt, this upsets the doctors as they have to then wade through heaps of rubbish. Promoting Self Care-It helps patients do as much for themselves as possible. It helps them with evidence-based guidelines and they are able to seek the exact treatment they need — nothing more, nothing less. Veto Power- It empowers patients to say ‘no’ when they do not require it; prevents over-testing and unnecessary surgery. If we all agree that information therapy needs to be prescribed, how do we ensure that it is efficiently dispensed? We can begin by ensuring that every point of clinical care i.e. the doctor's clinic, the pathology laboratory, the scan centre, the pharmacy and the hospital should have a patient education resource centre. When someone falls sick, these are their contact points with the healthcare system. Each of these represents an opportunity to educate the patient. This could be as simple as a tablet/information kiosk that the patient can browse through while he/she is waiting. We all are aware that in order for information prescribed to be effective, the information must be available to the patient at the point when it is required. All of these are ‘moment-of-truth’ encounters when the patient wants to know more about his problem and available treatment options. Unfortunately most of these opportunities for educating patients are routinely lost. Patients are being forced to look for this information by themselves. The ubiquity of the Internet allows the clever use of technology to empower patients with Information Therapy, so that they can become experts and engaged patients. 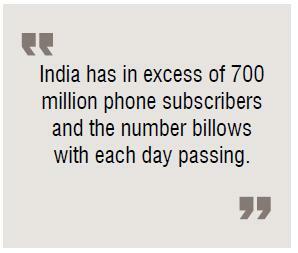 India has in excess of 700 million phone subscribers and the number billows with each day passing. Today, every mobile handset has the basic functionality of sending and receiving SMS in different languages. Emerging 3G and 4G spectrums also offer uninterrupted data services & high-speed seamless video chats via mobile phones. With all this in view, visiting clinics for common ailments and check-ups will soon become a defunct practice. The doctor will be able to effectively prescribe information to the patient who is calling from his home. Patient education shouldn’t be looked upon as an expense. It is an integral part of patient service; it offers the doctor, laboratory and the diagnostic centre an ideal way of marketing their services. Anyone who takes the time and energy to educate the patient is likely to create a lot of goodwill and get referral patients. Since reliable health information is highly valued by patients and family members, it also creates increased brand awareness in the community. We all know that medicines play a very important role in helping patients get better, which is why they are routinely prescribed by doctors. Information has an equally important role to play in medical treatment, and needs to be actively prescribed and dispensed. This is an extremely cost-effective way of improving patient satisfaction and patient compliance. One of our goals is that all doctors should have their own websites! This will compel them to be open and transparent; and patients will trust the local information that their personal doctor provides them, in their regional language. This information will be available 24/7, and will be free. • Helps insurance companies position themselves as organisations that seek to promote health, and not just as claims processors. From the government’s perspective, it’s a humungous challenge to provide high-quality healthcare to India’s teeming millions. Ours is a developing country and there just aren't enough doctors to go around. In fact, this challenge is an opportunity in disguise; one way to fix it is to do some ‘out of the box’ thinking. It’s obvious that if we do not venture onto the untrodden path, we will continue to fail. This is a great opportunity to create new solutions that can provide value for money. We need to remember that constraints can act as catalysts for creativity and innovation. Indians are intrinsically frugal and we can make even a small amount go a long way, as we are great at wringing-out the last ounce of value. The trick is to flip the problem on its head. Instead of looking at this massive number of patients as being a burden, we need to look at the situation as a potential problem solver. If patients are the largest untapped healthcare resource, the fact that we have more than 1 billion of them is an opportunity in massive proportions. So how can we tap into their creativity, to help them get the best care possible? For example, in India, hospitalised patients generally have family members helping them with nursing care. Instead of treating them as unwelcome obstacles, how can we make better use of their skills, to reduce the nurse’s workload? It’s sad that we continue to undermine the ability of patients to healthemselves. It’s possible for us to use technology to create a win-win situation and turn India into a trailblazer in the healthcare space. We have a treasure-house of doctors and medical expertise and are recognised as the worlds’ IT powerhouse. The one sure-shot path to success is to see these two marry; the combined intelligence and creativity will help us to improve the health of a billion Indians. It will help us create a virtuous cycle where better health allows citizens to become even more productive! In the past, pharma companies were held in high regard as the drugs they discovered helped fight diseases and saved lives. Today, the situation has turned turtle and they get a lot of bad press. They are looked upon as greed-mongers as they overcharge for their patented drugs. They spend inordinate amounts of money on promoting their products and develop drugs that ‘treat’ unimportant lifestyle issues. Moreover, they are thought to be unethical because they indulge in underhand practices to encourage doctors to prescribe their medications. Now, these companies too can benefit by promoting Information Therapy and they can use it to polish the tarnish off their reputations. Companies that do this proactively and enthusiastically have the potential to become market leaders. The conventional methods that companies use to influence doctors forpromoting their brands were through the use of Medical Representatives (MRs). Their sole job was to establish a personal relationship with the doctor; then leverage this relationship to cajole the doctor into prescribing their brand. However, with increased competition, this started becoming very difficult, and many companies began resorting to underhand practices (such as bribing doctors / sponsoring them for overseas medical trips) in lieu of promoting their brand. It is also a fact that MRs are no longer very effective. Doctors have now wised up to their tricks; since they are so busy, many do not even entertain them any longer. MRs are a very expensive resource, and most pharma companies find that they hold very less value for them (in terms of the marketing / promotions they do). Since companies can’t give doctors expensive gifts (providing costly freebies to doctors is now illegal under the new Medical Council of India rules), they do not enjoy the clout they previously did. Traditionally, doctors used to be pharma companies’ primary customers. But now, it has become very important for companies to market to the end-user. Though it’s the doctor’s job to prescribe medications, patients are the ones who actually take them. Now pharma companies are looking to reach-out directly to consumers and spend significant amounts of money on Direct-to- Consumer (DTC) marketing. Though this concept is still in its nascent phases in our country, it’s only a matter of time before Indian companies start focusing on DTC in a concerted manner. This form of marketing has made a huge impact in the US but many pharma companies there have suffered by releasing dishonest DTC campaigns. The need of the hour is to create disease-specific websites that focus on providing Information Therapy to the patients. • They resent the lacklustre attitude of their doctors. If we are seeking to improve patient compliance, we will have to analyse the patient's perspective. The only way to do this would be to put patients in charge of their own game plan; this will help them become active partners in their healthcare. A patient who understands why he needs to take medication for high blood pressure all his life will not need to be cajoled or bullied. Patients need answers to their questions about the medicines they take, but doctors and pharmacists are often too busy to answer ‘routine’ questions. This is why pharma companies provide patient information leaflets with their drugs. Unfortunately, these leave a lot to be desired. They are difficult to read and even more difficult to understand. • Expert patients could provide valuable feedback to the company about their wants and needs. This opportunity is waiting to be tapped; it will allow clever companies to build a direct relationship with patients-something that is especially important for patients with chronic illnesses. The lifetime value of these patients can be enormous. To date, no Indian company has taken the initiative of reaching out to these patients, who are now spending a lot of their time online. • Patient education programmes can increase patient adherence and retention and provide an excellent return on investment. For example, patient counseling tools can increase calls from physicians requesting MRs to come back to the clinics and replenish these tools. • Progressive global pharma companies are using Facebook and other forms of social media to reach out to their patients. The affluent Indian is already online, but Indian pharma companies are still lagging behind. If they use Information Therapy to empower patients, they will be able to reach out to a larger number of Indians. The general public will once again see the pharmaceutical industry in a positive light; and as an important player in improving human health. E-healthcare is the future of medical care with the promise of online medical records, online appointments, m-health, digital-health and telemedicine. The opportunity to help our patients is now in our hands. We owe it to ourselves and our patients to meet the challenge that lies before us all. Aniruddha Malpani is an IVF specialist and his clinic at www.drmalpani.com attracts patients from all over the world. He has founded the world’s largest free patient education library, HELP, at www.healthlibrary.com. He has authored 5 books and his passion is patient empowerment; he believes that using Information Technology to deliver Information Therapy to patients can heal a sick healthcare system ( www.puttingpatientsfirst.in). 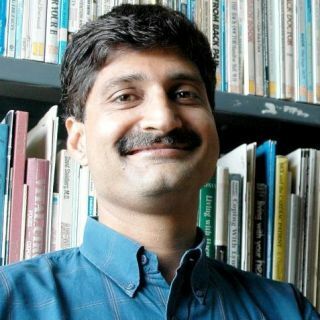 He has pioneered the use of innovative technology to educate infertile couples, using cartoon films, comic books and e-learning on his website, www.ivfindia.com. He is an angel investor is many startups in India.